Finding a reliable used car at a fair price from a trusted dealership can be challenging, particularly since there are so many dealers in any given area. When you know how to find answers to your questions, it can be easier than ever to buy low mileage cars in Snohomish from a trusted dealer. Luxury and sports models are often available at a fraction of the original asking price, with many desirable amenities included. Decide which makes and models interest you the most and be sure to include specific years. Know whether you want a newer model or one that is older. Evaluate your transportation requirements and do not be swayed into buying a car that does not meet these needs. Research vehicle prices online and see which local dealers have the autos in stock. After you find the car for you, look at the vehicle history report. Know whether you will be paying cash or if you will apply for financing and have a down payment or trade-in ready. Have a prepared list of questions about the car and financing to ask the salesperson at the dealer. 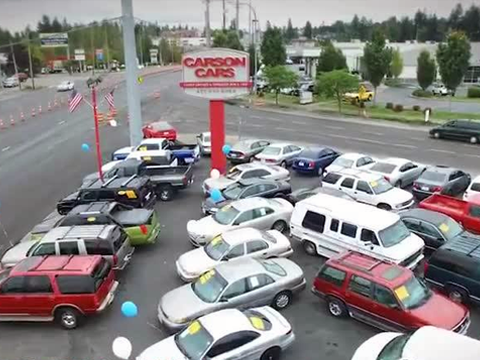 Visit the team at Carson Cars today for an excellent selection of pre-owned low mileage cars in Snohomish. We are a long-standing community leader for premium used vehicles and affordable options for financing. Call us at (855) 583-9356 to learn about our current selection or for guidance about qualifying for a car loan. We are prepared to assist you throughout the auto-buying process.